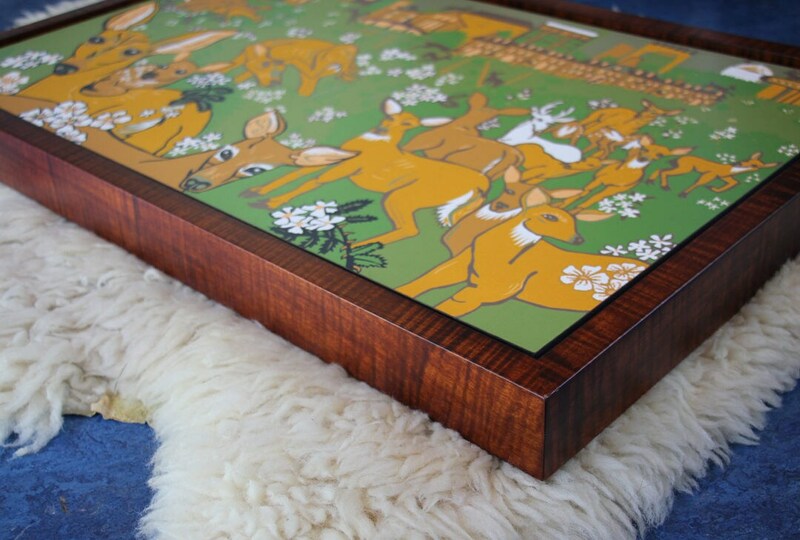 This deer piece is a pre-order and will be delivered in 6-8 weeks. Deer are having a negative dramatic effect on forests. They eat all the under story, so trees don't have a chance to grow. I wonder what our forests are going to look like a few hundred years from now when many of our large trees die of old age, and there are no new trees to replace them? The multiflora roses are also a major problem. A walk in the woods could turn into a walk into a large thorny patch. 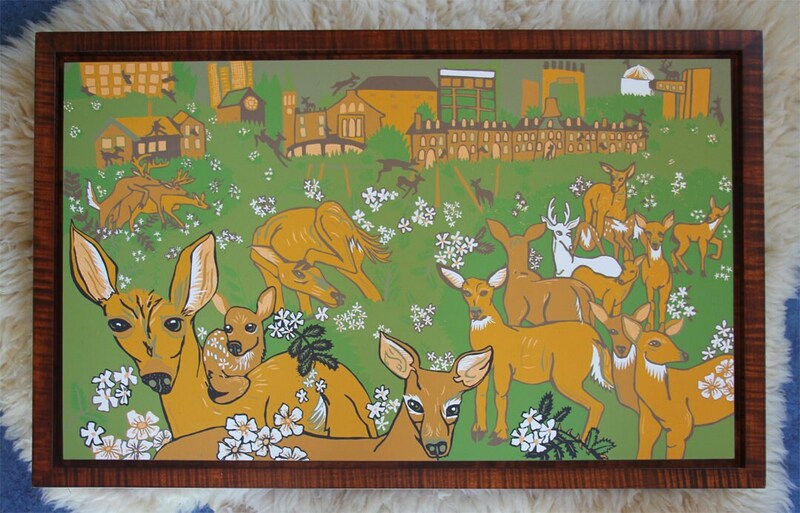 This listing is for a framed original woodcut. My frames are made by a wonderful woodworker, I pick the size and color and he makes me a fabulous solid wood, curly maple frame to adorn the art. I think the warm brown frame is great for this image, but, as a customer you have options and if you would like a different color frame just send a note. I'm happy to frame it in another color. Image size 27.5" x 17"
framed size about 30" x 19"